It's pretty straightforward: Is it someone you want to get in bed with or not? 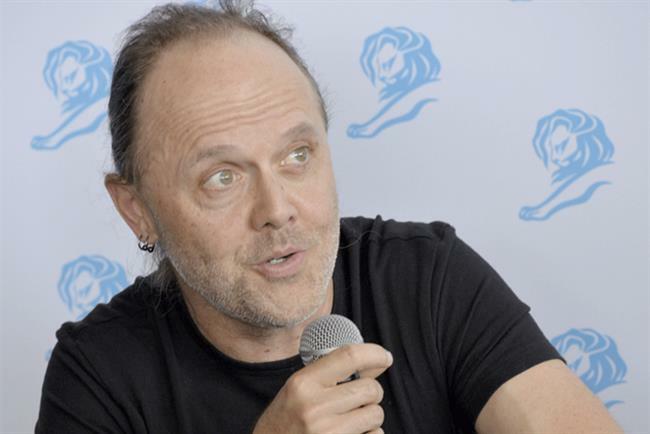 Mostly it's not"
CANNES — Lars Ulrich, the drummer and co-founder of heavy-metal band Metallica, says his band accepts one in 20 approaches by brands for commercial deals. Ulrich spoke Tuesday at The Cannes Lions International Festival of Creativity. The drummer, whose band has struck commercial deals with brands including Coca-Cola, said: "You just sit there and get presented with a lot of options. I would say that we say yes to one out of 20 things. "It’s about timing — who the brand is, what they’re offering. It’s pretty straightforward: Is it someone you want to get in bed with or not? Mostly it’s not." Ulrich also denied that doing sponsorship deals had made them feel like sell-outs. "I think we’ve done pretty well," he said. "I sleep pretty well at night, and I think we’ve kept the credibility well intact. But it’s a different situation from 20 years ago. You have to be adaptable." Asked what he thought about advertisers (meaning people who make ads, in this context), Ulrich replied: "I think there’s a lot of good people in advertising just doing their job. With Metallica, when we’re doing something creative, we don’t necessarily want to make money or show off. "It’s kind of like when a child makes a drawing and wants to show people what they’ve done. And that’s kind of where advertisers come in at different levels. They just want to get their stuff out there and one way of doing that is advertising." Ulrich struggled on a question about what inspires him to make music. He replied: "I have trouble articulating these things because it’s an organic thing, and I feel like if I try to articulate then I’m scared it will somehow cheapen the process." Poll: What are we really celebrating at Cannes this week?